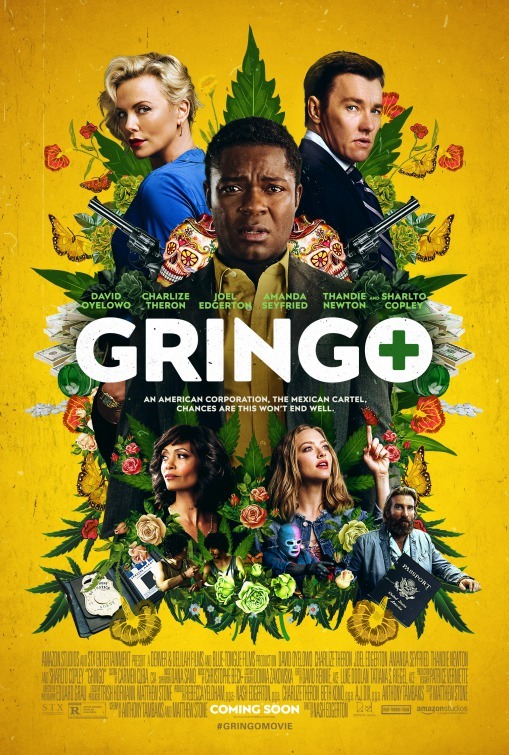 We're happy to offer our DC readers the chance to attend a free early screening of Gringo. The action-comedy stars David Oyelowo, Charlize Theron, Joel Edgerton, Thandie Newton, Amanda Seyfried, and Sharlto Copley. SYNOPSIS: An exhilarating mix of dark comedy, white-knuckle action and dramatic intrigue, Gringo joyrides into Mexico, where mild-mannered businessman Harold Soyinka (David Oyelowo) finds himself at the mercy of back-stabbing business colleagues back home , local drug lords and a morally conflicted black-ops mercenary. Crossing the line from law-abiding citizen to wanted criminal, Harold battles to survive his increasingly dangerous situation in ways that raise the question: Is he out of his depth — or two steps ahead? The screening takes place on Wednesday, March 7th at 7:00pm at Regal Majestic in Silver Spring. If you'd like to attend, simply register at the STX ticketing site here and download one Admit-Two pass for the event. Please remember that having passes does not guarantee entry and you will need to arrive early to ensure receiving a seat. Enjoy the show!